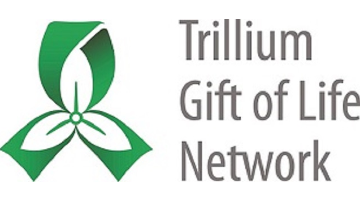 Trillium Gift of Life Network (TGLN) is an agency of the Ministry of Health and Long Term Care responsible for the coordination of organ and tissue donation and transplantation in Ontario. Our mandate includes increasing public awareness of the importance of organ and tissue donation, education of health care professionals, and ensuring a safe and effective donation and transplant system in Ontario. Working collaboratively with our stakeholders and fostering organizational and individual growth, we value honesty, trust, respect and compassion. TGLN is currently seeking a highly motivated 0.75 part-time Surgical Recovery Coordinator (SRC) for the Greater Toronto Area. Reporting to the Manager, Provincial Resource Centre – Organ, the SRC is responsible for coordinating all aspects of organ, and some tissue recovery. This is done in collaboration with donation coordinators and surgical teams, to ensure donations are secured in adherence to TGLN standards and applicable regulations. Collaborates with stakeholders across the continuum to ensure seamless and successful organ/tissue recovery. Assesses the medical suitability of potential organ and tissue donors in collaboration with members of the TGLN team. Travels with surgical recovery teams to donor recovery sites across North America; and ensures that transportation arrangements are in place for surgical team and/or organ by collaborating with the PRC staff. Performs technical duties in the recovery such as chart review and, preparation of supplies, equipment and surgical equipment. Responsible for updating stakeholders about the condition of donors and allocated organs from within the recovery OR. Performs the screening, surgical recovery evaluation, packaging, labelling, and transportation of human tissues and organs in accordance with TGLN standards. Oversees and ensures a sterile environment during the organ retrieval process; prepares instruments, tubing, perfusion and preservation solutions as well as sterile packaging materials. Assists surgeon with the surgical recovery of organs; receives and places organs in preservation media; ensuring proper placement in designated transport containers and correct labeling. Documents OR procedures / surgical recovery process, and supply logs after a donor recovery. Ensures all surgical related documentation is recorded in the donor chart, reviews for data integrity, completeness and adherence to TGLN standards. Ensures organ/tissue/sample delivery is documented and any required requisitions are attached as appropriate. Ensures surgical supplies and equipment are maintained within specified parameters. Diploma/degree in Paramedicine; Diploma/degree in Practical Nursing; or a Certificate in Surgical Technology is required. Significant knowledge and experience in a surgically-related health care environment preferred. Work experience in organ and tissue donation preferred. Able to report to work at the downtown office within one hour of being notified. Access to a reliable vehicle. Experience collaborating with interdisciplinary teams; and ability to communicate effectively. Valid G Driver’s License is required. Valid Passport which allows travel to the United States is required.